P/V/G Folio. By Emerson Lake & Palmer. Piano. Progressive Rock and Hard Rock. Songbook (softcover). With vocal melody, piano accompaniment, lyrics, chord names and guitar chord diagrams. 79 pages. Music Sales #MUSAM934494. Published by Music Sales (HL.14010291). This folio contains 10 explosive titles (some available for the first time) - Karn Evil 9, From The Beginning, Lucky Man, Still You Turn Me On, and I Believe In Father Christmas. June 19, 2008 SUPERB ATTENTION TO DETAIL!!! that one. Its a rare occassion when I find sheet music books where the arranger/transcriptionist (and copyright laws) provide such a SPECTACULAR transcription of the originals!! GREAT BOOK if you are a pianist in search of Keith Emerson gold and the like! April 09, 2008 Where's Karn Evil 9 - Part 1? your music collection if you are an Emerson fan. 25 of 54 people found this review helpful. I have purchased several tab books over the years from your site, but this is the first time that I was disappointed. All of the other books that I've received were all 'Authentic Guitar Tablature', but this one appeared to be for beginners. -arranged versions of Greg Lake accoustic songs are put in here (Half the songs in the book!) 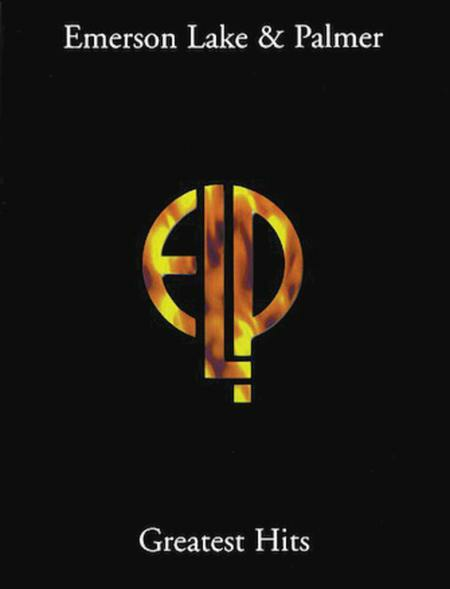 and that space could have been used much more wisely for many other ELP songs with the REAL keyboard parts (Knife Edge, some of Tarkus, more of Karn Evil 9, Fanfare for the Common Man, Pirates, Jerusalem, The Barbarian... etc.). 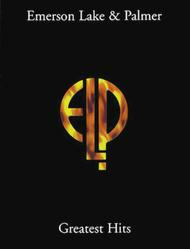 On the contrary, it's the only ELP book there really is available. But, Take a Pebble (although a good deal of improv. is left out) and Trilogy (When the synths come in, it doesn't include as much as you may want) are fantastic piano pieces and sound beautiful. Really, those two songs alone are reason to buy this book. Look foward to more ELP sheet music books in the future! This is a piece of art for all the fans of ELP, but for the piano players is a treasure that you must include in your exercise sessions because make you get more flexibility for yor fingers and develope an extraordinary skill.